The death of Jesus brought about uncertainty and confusion among the First Believers. Little-known Matthias was chosen to replace Judas as a member of the Twelve but forces were at work against the Believers that they did not expect as they struggled to further their message of love and hope. 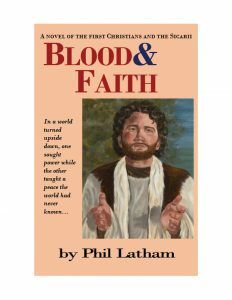 I was actually inspired to write this book during the writing of "The Gospel of Adara," my first book of historical Christian fiction. As I did research for that book I became intrigued with the man (Matthias) who replaced Judas. I also learned of the activities of the society of assassins, the Sicarii. All of this was happening concurrently, which fascinated me.